I am in a chatty mood today and thought I’d just do a post of random thoughts today. 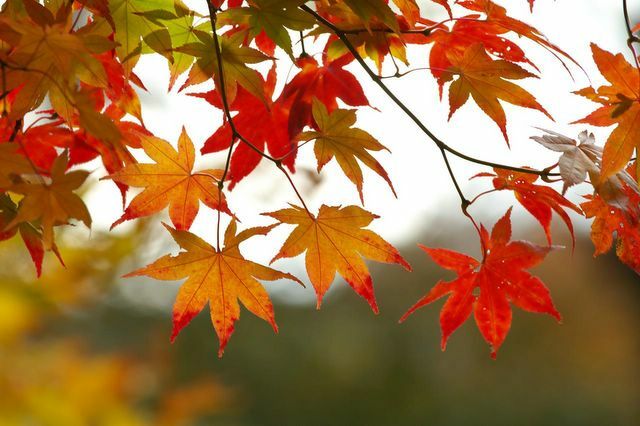 The leaves changing beautiful colors – red, gold, orange, yellow; God is an incredible artist! Starbucks coffee – I am going to try the Pumpkin Spice Latte’ with the Starbucks gift card that my sweet sis Maria bought me for my recent birthday – yum! The hope of new good things in life with a new season. Second, I am enjoying my new phone – but still getting used to it and learning how to use it. I laughed at my friend Susan Evan’s blog posts How Technology Rules Us Part 1, Part 2, and Part 3 because initially she didn’t want a cell phone but she loves hers now, especially the video feature. Like me, she doesn’t always hear it ring. My family has gotten annoyed with me for not hearing it ring as I’m doing chores here or working on something, and especially frustrated with me for leaving my old phone here at the house when I run to Walmart, the post office or to buy groceries. “What is the point of having one?” they’ve asked me. I am doing better now with the new phone. Today, our daughter Leah’s cell phone arrived in the mail. It makes my whole day to hear the UPS man knock on the door, although I don’t actually know what he looks like because he knocks and then I think RUNS to his truck, speeding off. I know when the UPS man comes, we have a present in the mail – a good book (I recently ordered I Know Why The Caged Bird Sings, by Maya Angelou), a check from a family member for a birthday or Christmas, or a new tech gadget. Leah’s phone is Sprint’s Samsung Replenish, which came with a promo offer. I wanted her to have a cell phone in the event of a disaster, to quickly get ahold of Ray and me if we’re not here (which is not that often. I am here most of the time, but I feel better now with her having a phone in the event of an earthquake or tornado!). It has the qwerty board for texting and wi-fi for email and Facebook. She is charging it now and can’t wait to use it. Four out of five teens in the U.S. carry a cell phone, viewing it as the key to their social life. What do you think about this as a parent? For that matter, has texting/cell phones helped your social life? I personally love the convenience of texting. Third, I wanted to share the video below with you. I love the song. Our daughter Heather just went to a huge women’s conference in Springfield, MO, where they played it. I lift my hands to God for all He’s done! I pray it encourages you today.